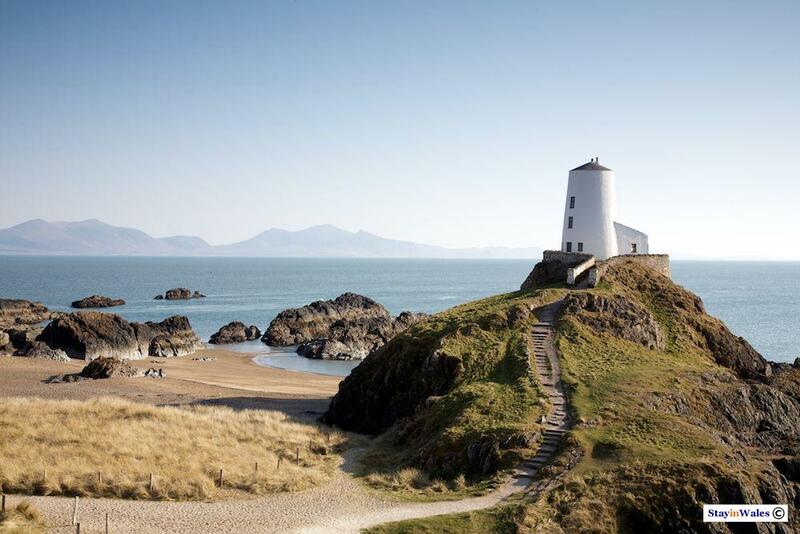 Twr Mawr (big tower) was, from 1845 until 1976, the lighthouse which marked the rocky peninsula near the south west corner of Anglesey known as Llanddwyn Island. Built in a conical style, perhaps inspired by the design of Anglesey's windmills, this 35ft tower with an effective height above sea level of 82ft was visible from 7 miles away. The original 'Twr Bach' beacon just across the bay, equipped with a directional flashing light, replaced Twr Mawr as lighthouse for Llanddwyn in 1976.